Our facility is in the coastal town of Poole in Dorset. We love the area’s rich natural beauty and truly spectacular coastline which make it a great place to work, live and visit. The area also has a large amount of industry which offers us the extra advantage of great local support on materials and equipment. Please fill in your details below and we will contact you as soon as possible. A copy of your enquiry will be sent to you. Please note: In line with GDPR regulations we will store any information provided for as long as necessary to deal with your enquiry after which it will be deleted. The information submitted will not be distributed to 3rd parties and will only be used in relation to your enquiry and not for any other purpose. 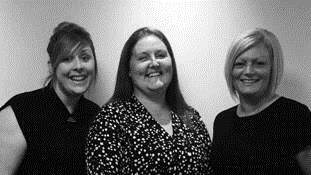 We are the commercial team at CT Production – Anna, Adelle & Karen. We are on hand to support you and make sure your transition to us runs smoothly. With over 18 combined years of experience in the electronics industry we apply our expertise to review your documentation and assign you to the most suited member of the team. From that point forward your individual coordinator will take time to fully understand your project, company and needs to create a customer profile. This will enable the CT team to have a clear understanding of your business which is crucial for a great working partnership. You can contact us at any time - We’re here to to help.